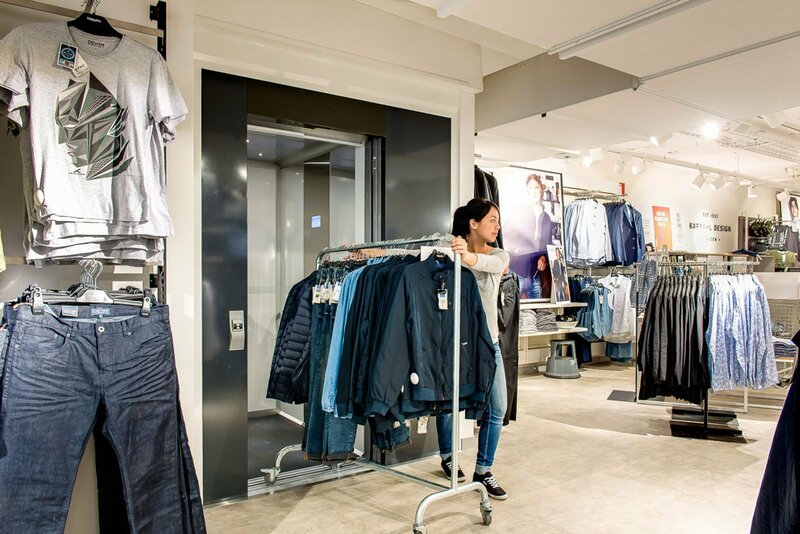 This cabin lift makes shopping more comfortable and helps staff in their everyday chores. 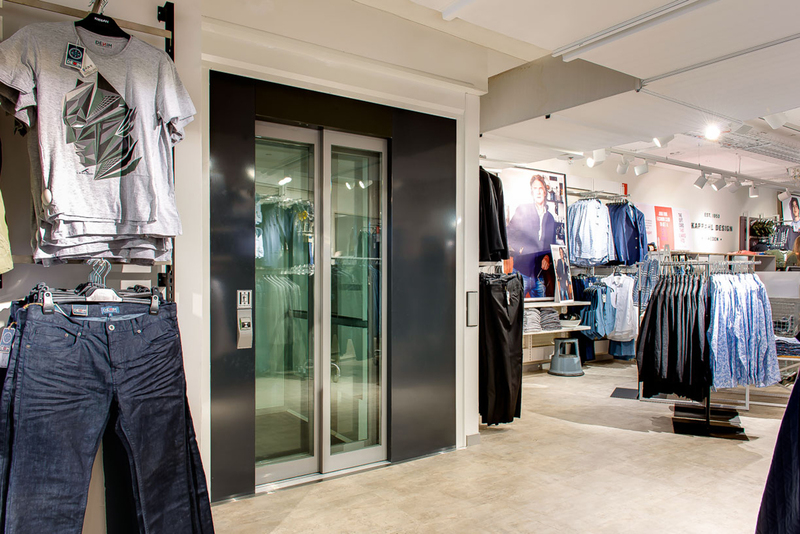 This Cibes A6000+ provides comfortable access to all floors of the store. The enclosed cabin can take up to 8 people and is equipped with one-touch controls, sliding doors and elegant LED lighting. Cibes A6000+ can be placed in a site-built shaft, like in this example, but is always delivered with a ready-made shaft in steel or glass. In most cases, lift installation takes only 4-5 days. 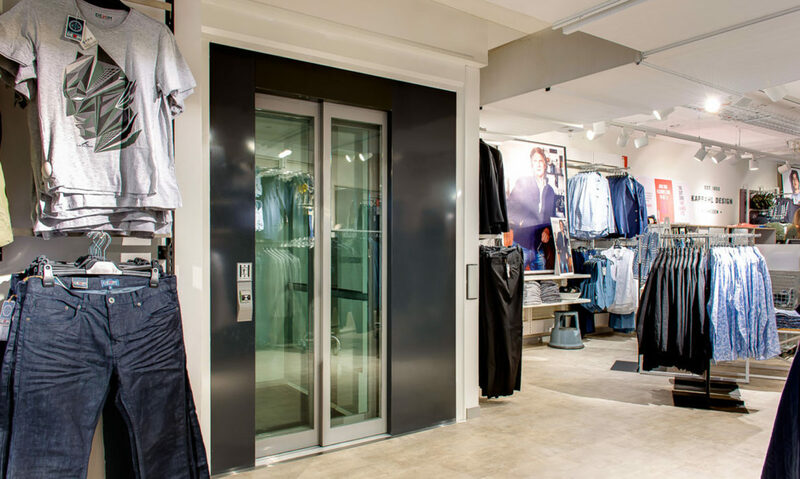 Add a touch of luxury to your Cibes A6000+ by ordering the lift shaft, cabin and doors in glass. The lift shaft and cabin can be glazed on 3 sides for a truly spectacular look. 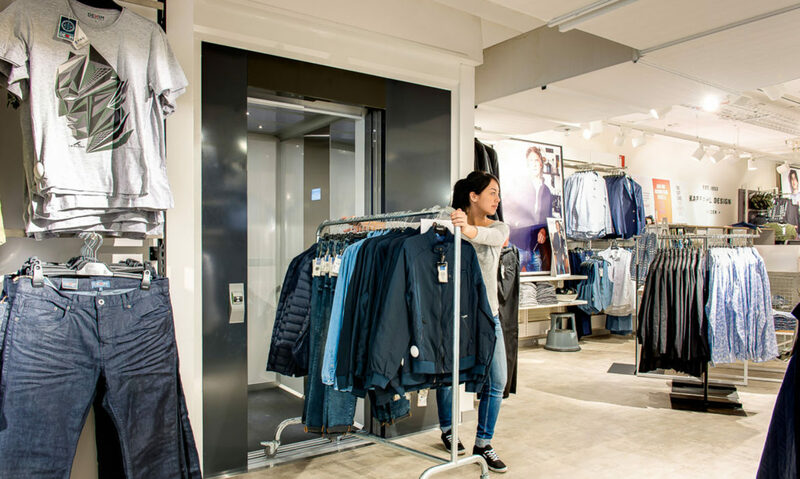 Platform lift Cibes A5000 is a great alternative for a shopping mall.